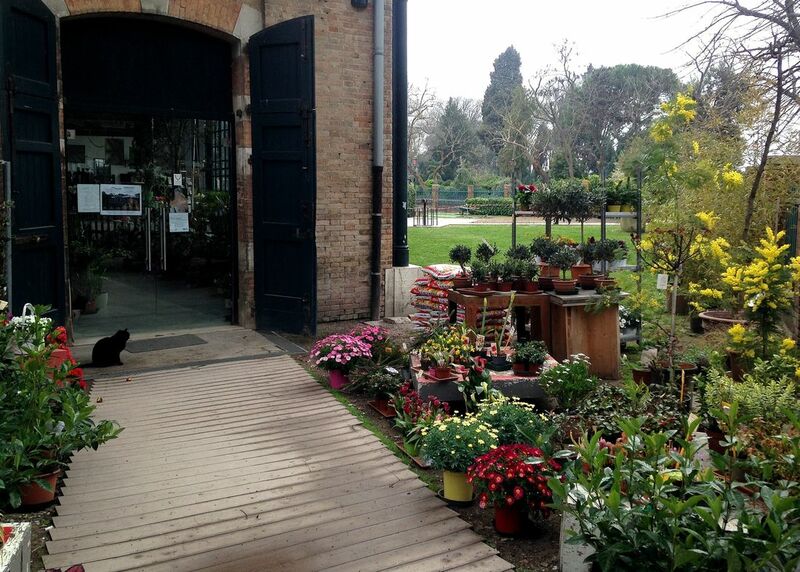 Laguna Fiorita is a social cooperative, offering employment to the disadvantaged and disabled, that operates a large greenhouse right in the historic center of Venice. They have a wide variety of flowers, shrubs, vegetables and herbs, and they also offer both delivery and landscaping services. 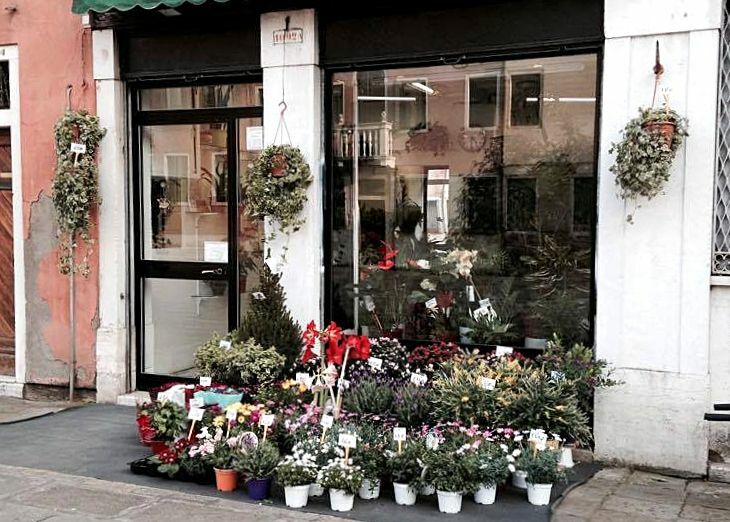 Fioreria San Rocco is no mere "florist", they are flower designers who create arrangements and floral designs for weddings, holidays or any other kind of special event. When they're not arranging flowers for private events, they work hard at creating the flower arrangements for many of the loveliest hotels and restaurants in Venice. 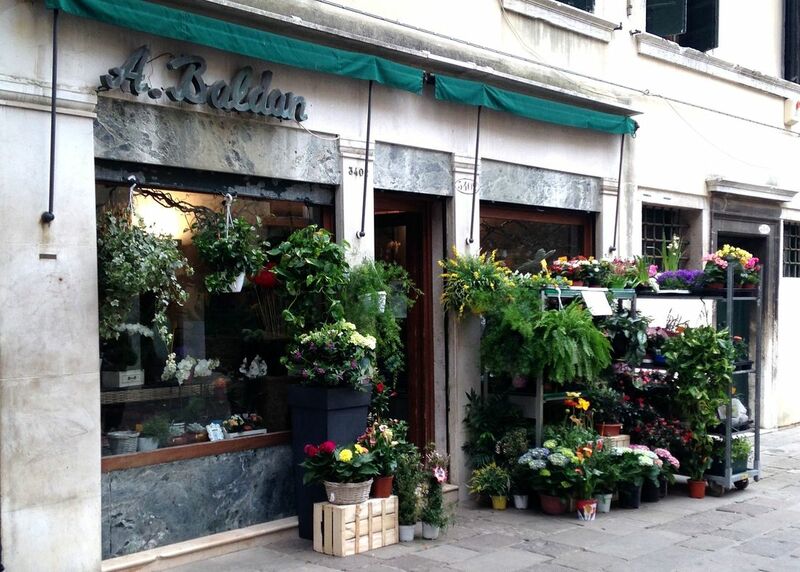 Fioreria A. Baldan is a lovely florist/ flower shop located in Castello. They offer flower arrangements for special events and also always have a good variety of houseplants and flower arrangements ready to go. They had an impressive variety of orchids the last time we stopped bye. 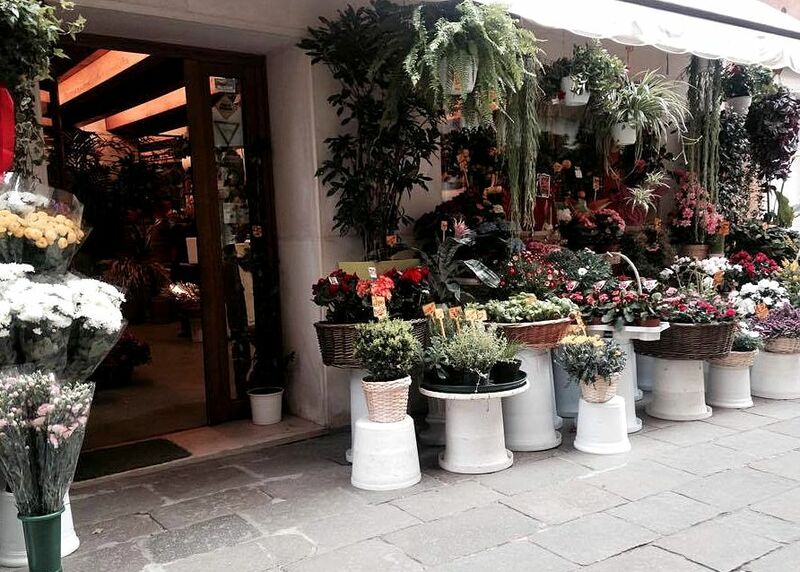 A Castello neighborhood florist who always places a kind reminder of upcoming holidays in the windows. Barbara has a nice variety of houseplants, including tropicals, prepares fresh bouquets on request, and provides flower arrangements for special events. "A well planned garden must look good, smell good and taste good!" 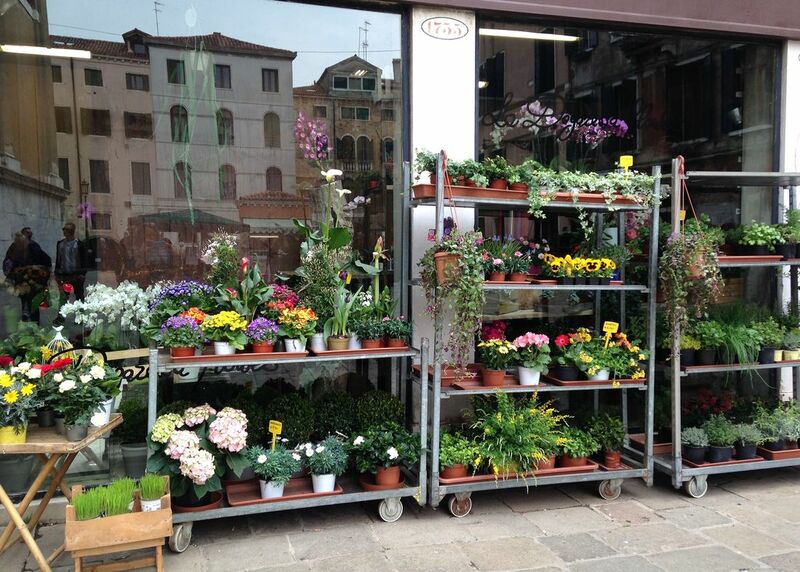 So we were told at La Dogaressa, a highly professional, yet very friendly florist in San Polo. There are a variety of house plants available here, but their focus is on floral designs for decorations, gifts and events. Serra Dei Giardini (Greenhouse of the Gardens), is located in a Greenhouse that was built as one of the first Biennale pavillions in Castello and is now operated by the cooperative Nonsoloverde, who are responsible for the maintenance of the greenhouse and the gardens. Here you can find a number of thriving houseplants and shrubs, including some rare varieties. Floral gifts and houseplants only here, but a very nice selection of those! Though these florist don't prepare numerous arrangements for large events, they do make lovely bouquets on request for their supply of fresh cut flowers and keep a variety of seasonal plants available. Passers bye also appreciate the near bye chiosco which they tend as a small urban greenhouse. 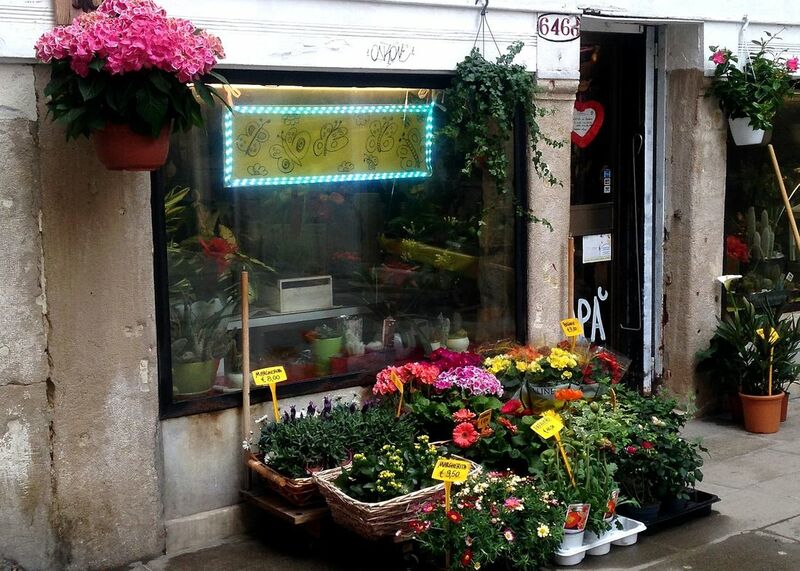 Acqua di Rose is a charming full-service florist and flowershop in the Dorsoduro district. Stop here for house and garden plants, bouquets and also floral arrangements for special events. They have a small, but very well curated selection which includes some lovely handing flower and plant arrangements. 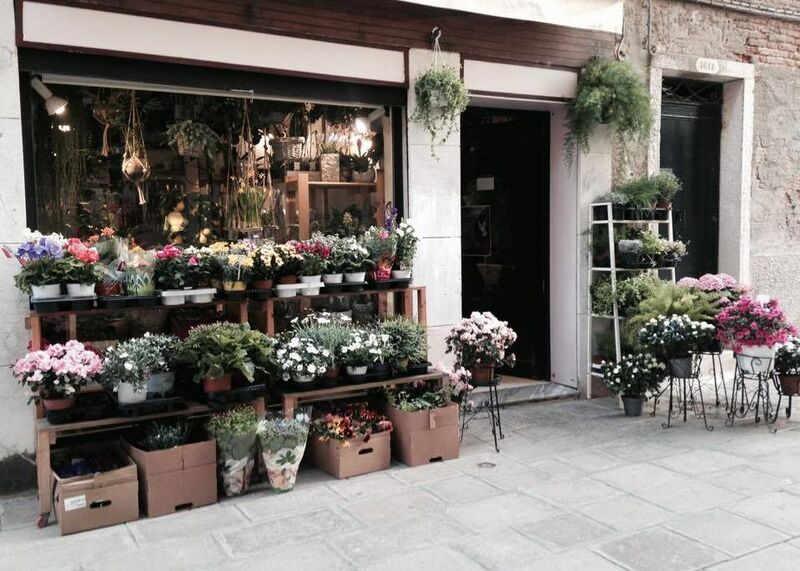 Always among the most tempting florist and flower shops to pass in Venice. 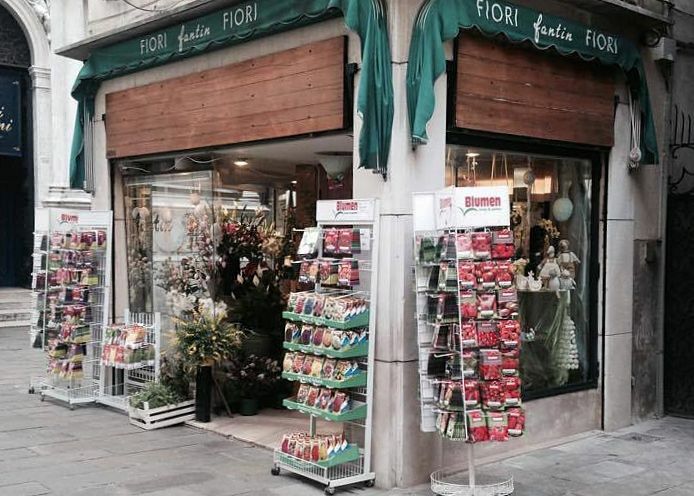 Fioreria Al Bocolo is a full service florist offering house and garden plants and floral arrangements for any occasion. But, what always stops me in my tracks that they always have such a lovely array of fruit trees and bushes. In the first place, its just wonderful to see a florist in the very busy area of Rialto/ Campo San Salvadore and I've always appreciated Fantin's festive windows at all seasons. (In the spring time, seeds and bulbs are perfect!) . Fantin is a full-service florist offering some plants and bouquets on demand, but specializing in floral arrangements for special occasions. 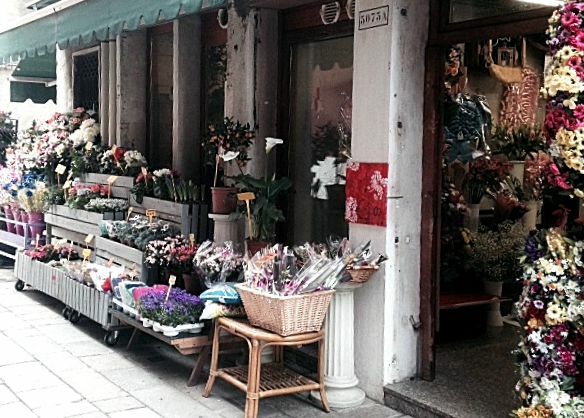 This small florist and flower shop located just steps away from the Vaporetto stop at Fondamenta Nove prepares flower arrangements for every kind of celebration and also always has small bouquets, corsages and boutineers ready to go for any occasion. Located near both the hospital and the boats to the cemetary, they also provide flowers for funerals and gravesites including some arrangements of false flowers. 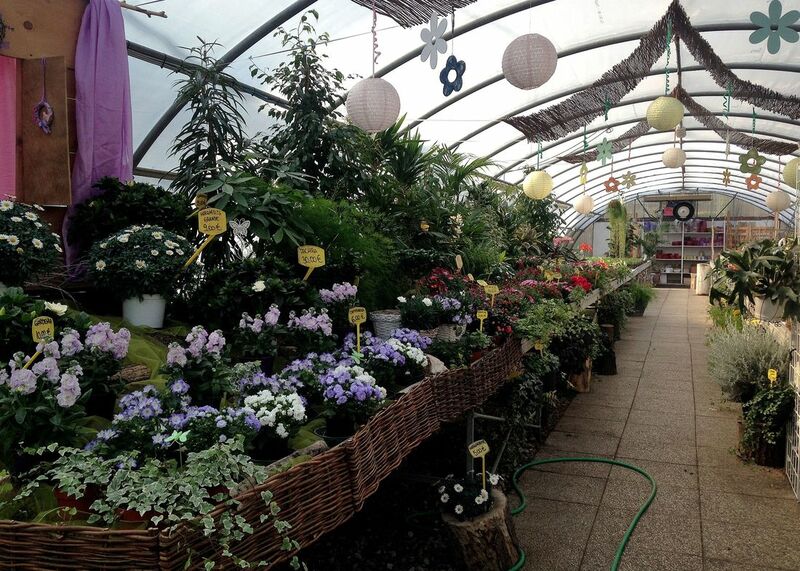 Flower pots, rare flowers, gorgeous plants and a well curated selection of gifts. 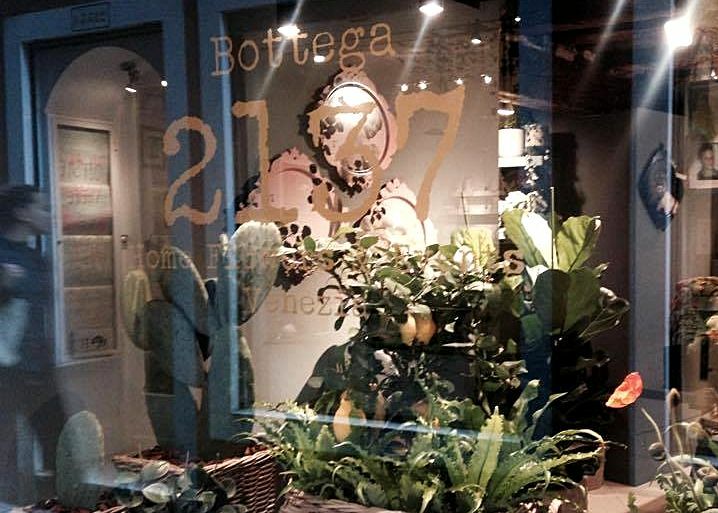 Though Bottega 2137 is not a florist, they do have a small number of lovely unusual plants and flowers as well as a selection of hard-to-find-in-Venice home garden products. (Terracotta flower pots are one example.) 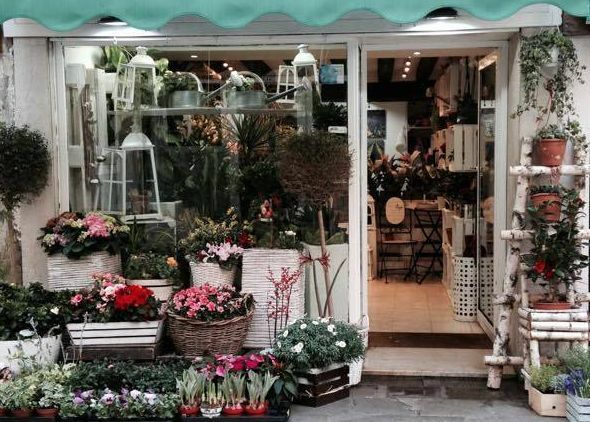 We highly recommend this small shop to those looking for floral and/or garden inspired gifts, or something to spruce up their own home gardens!